This would be a great stocking stuffer or small holiday gift idea! You can get the 3D Puzzle Creative Handmade Assemble Jigsaw Toys Pink Princess Castle for only $3.99 right now on Amazon! You will be saving a BIG 73% on this purchase because it is normally $14.99! This puzzle can be easily assembled by following the numbers. Make sure that you grab this deal soon because the prices can change at anytime on Amazon! 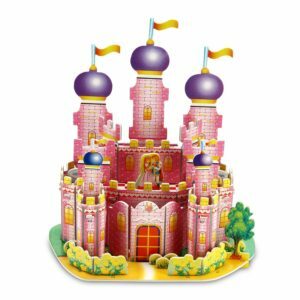 CLICK HERE TO ORDER the 3D Puzzle Creative Handmade Assemble Jigsaw Toys Pink Princess Castle for only $3.99 today!